Here it is, almost the end of 2015. Another year of incredible wellness. I continue to get checkups every three months. The frequency of these checkups is due to receiving a haplo-allogenic (half match) bone marrow transplant in 2012. Hopkins performed these transplants on a few hundred patients who they are following closely. Since I am a part of that clinical trial, which began in 2011, I welcome the frequent monitoring. I had cataract surgery performed on both eyes in September. It was very much needed – it had been a very blurry couple of years. I was told that all the chemo and medications I received would speed up cataract formation, and it certainly did. The surgeries went well, and the world is clearer and brighter for the most part. However, I still have problems with GVHD (graft vs. host disease) in both eyes. When it flares up, my vision becomes blurry and I feel grittiness in my eyes. I have steroid drops to use when this happens. Most of the time they help, but not always. I am hoping that something better will come along. I am told my eyes aren’t “bad enough” for those Prose Lenses, which were developed a few years ago for people with severe eye issues. They are expensive, about $10,000 per eye, but some insurance companies will cover the cost. I know a BMT survivor who has the lenses now, and has experienced instant and total relief. We’ll see what this coming year brings. How bad is “bad enough”? As an artist, I need to SEE — really well! I still have flare ups of skin GVHD at times, mild rashes, but I have been able to manage that with steroid creams. I have noticed that when I feel stressed and anxious the rashes appear, especially when I’m due for a doctor’s appointment and blood tests. I try to remain as calm as possible day to day, but the anxiety sometimes wins out. I’m also not sleeping as well as I should. I resolve this coming year to try and do a better job of getting more rest and managing stress/anxiety. I also resolve to get outside and walk! Fresh air! This is the fourth Christmas since my BMT! The miracle of being here to celebrate is still mind-boggling to me. There are actual whole days that pass when I don’t even think about the transplant anymore. I never thought THAT would happen. But there is that nagging little gremlin in the back of my mind telling me not to completely relax. The fear that it could all go south in the blink of an eye. I suspect all cancer survivors experience this. I really have to get control of the anxiety this coming year, and have faith all is well. I have been extremely fortunate medically. There are some BMT survivors who have suffered from serious complications. There are some wonderfully courageous people I’ve come to know on this journey, and I continue to send them my thoughts, prayers and positive vibes going forward. I also thank family and friends who continue to be incredibly understanding and supportive of me. I recently read in an NIH study that it can take up to five years for a BMT survivor to recover mentally from the procedure! I can truly understand that. We can feel very vulnerable at times, leading to anxiety and sometimes depression. It’s good that we keep track of ourselves mentally, and if we need extra help, to get it. I know this post very closely resembles my last post, with a few exceptions. But I wanted to make sure I wished everyone a Happy and Healthy New Year. Take care of yourselves and each other. It’s been quite a long while since I’ve updated this blog, but the old adage “no news is good news” applies here. I can hardly believe that it will soon be three and a half years since my haplo-allogenic bone marrow transplant for CMML, a very rare leukemia. My daughter was my donor. The past eighteen months have been as normal, busy and healthy as I could have ever wanted. It’s very surreal to read this blog and travel back to a very scary time and think – did I really go through that? I am truly one of the lucky ones. I have lingering mild GVHD issues which mostly effect my skin and eyes. The skin issue is managed with a steroid cream along with an antibiotic ointment. There are mild flare ups from time to time. Mostly on my face and scalp. My eye GVHD is managed with either Lotemax (steroid) drops or an antibiotic eye drop (Vigamox). I have severe dry eye problems at times, but was unable to tolerate Restasis. I tried three times to use it, but it felt like I was putting acid in my eyes. The “temporary burning sensation” lasted all day for me. My eyes are very light sensitive and wind sensitive. Even sitting under a ceiling fan can be irritating. I wear wrap-around sunglasses all the time outside. I just completed cataract surgery for each eye. What an amazing difference! It had really become a problem this past year. There is always a concern that GVHD will flare up after medical procedures, and I did get a skin flare up for a few days. I even get a skin breakout after receiving a flu shot. My new immune system kicking into overdrive. I still get regular blood tests at Hopkins every three months. That’s often, I know, but my doctor wants to keep a close eye on my progress. I don’t mind anymore, but I still get very nervous beforehand. My mind always goes to that dark place of fear, where all might not be well. I guess that fear will always be there. This year, 2015, has been better than the previous two mentally. It was very hard to transition from being a full time patient to a cancer survivor. It was almost a feeling like – I don’t want to jinx this by feeling too relaxed or happy or even say the word “survivor.” Very bizarre and illogical, but the anxiety is real. I can finally say that days can go by when I don’t dwell on the experience or think about it anymore. Sometimes it seems like eons ago, and sometimes just yesterday. I think I have experienced a bit of PTSD at times, especially in 2013 and 2014. Not serious, but something triggers a memory that is not so pleasant and I have to deal with that in my own way. It has been a long journey that continues, thank God. When other people who find themselves on this journey too reach out for help, I try to oblige. I’ve been very blessed and I try to pay it forward in some small way. Only someone who has been through this unique experience can truly understand. I won’t wait as long to update in the future. Life is good. The journey these past two years has been long and challenging at times, but it has been a lot easier with all of you coming along with me. 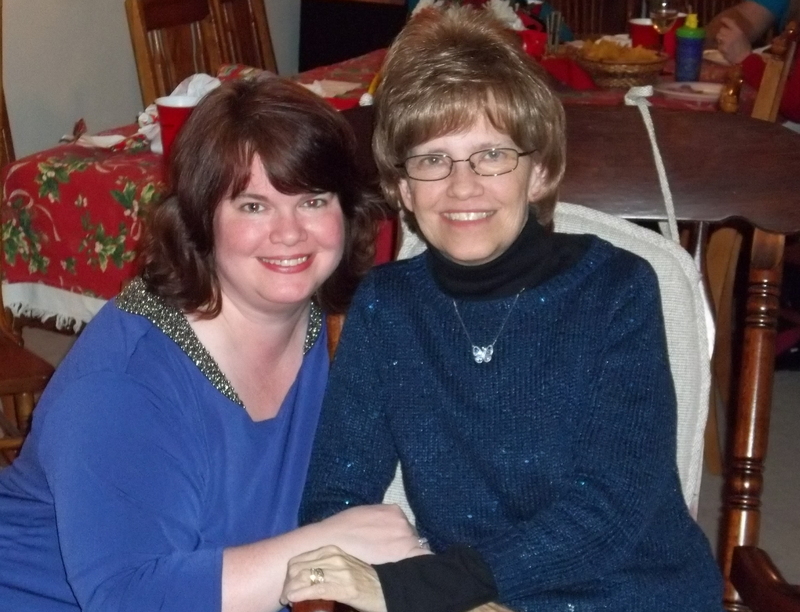 On May 10th, we had a party at our house in celebration of my second re-birthday since the bone marrow transplant. We thank you all who came to share that day with us. I can’t believe it’s been two years. Each milestone that is reached after transplant is a cause for celebration – surviving the transplant itself; the first 100 days; the first six months; the first year; and now two. A time when so much could go wrong, but thankfully in my case everything went right. The re-birthday party was a wonderful day. It was great seeing people (family & friends) who have prayed and supported me (us) through this whole ordeal, and to be able to thank them personally for all that they did. I am convinced that I could feel the support of all of you throughout, and that it definitely got me (us) through the hard times. I hesitated about having the party on May 10th. Yes, it was the second year milestone, but I had not had my two-year checkup at Hopkins yet. I had not had all the tests and biopsy results that would tell me officially how I was doing. I felt like I might jinx the outcome if I had a celebration too soon before I knew. But in the end I decided to go ahead with it. And I’m glad that I did. No matter what the test results might show, I experienced the gift of two more years. Thank God for that. On May 20th I had a battery of tests, many vials of blood taken and the dreaded bone marrow biopsy. I also was given six more immunizations. Five booster shots for the usual childhood diseases and one new one, the MMR vaccine (measles, mumps, rubella), the live virus. Before two years, I could not be given any vaccine with a live virus, because my immune system couldn’t have handled it. My immune system is only two years old. Three shots in each arm, a biopsy taken with a gigantic needle in my pelvis (ugh), and of course, the many vials of blood. It is a week later and my arms are still sore. The other part of my anatomy is feeling much better. If this is too much information, I apologize. It’s amazing, but all this poking, prodding and sticking has become routine for me. Not pleasant, but very necessary. The blood test results are two pages long. They test EVERYTHING. I said recently that 2013 had been the best year I have had in a long, long time. I finally felt healthy. And 2014 is turning out to be even better. I am enjoying so much my art classes and my art friends. I am painting with a new sense of excitement. I feel like I have all my energy back again. Before the transplant I had been so fatigued all the time. I can’t wait to wake up each morning to a new day. I take zero medication now. That all ended July of 2013. I still have GVHD (graft vs. host disease) in my eyes. My eyes get irritated, dry, blurry at times. Bright sunlight and wind bother my eyes. I had silicon plugs inserted into my tear ducts and that has helped tremendously with the dry eyes. I bet you all became squeamish reading that. But really it’s nothing. I didn’t feel it when the doctor put them in, and I don’t know they are there. Who knew? Anybody who suffers from severe dry eyes should give them a try. I use Restasis eye drops twice a day every day, and that has helped a lot also. This condition will never go away, but it can be managed. Sometimes when I’m having a flareup of eye GVHD, it makes it hard to read or paint or watch TV. I have to avoid the sun like the plague, and I have a few other restrictions, but mostly everything is back to normal. And as for my hair? Well, it’s never recovered, and probably won’t. All in all, a small price to pay for a second chance at life. I see my doctor again in September, and then it will probably be six months between visits. It’s nice to be “ordinary” again. Planting flowers. Having our house painted inside. Watching a ball game. Having a party. ACTUALLY MAKING PLANS! Each time I walk into that giant waiting room at Hopkins for a checkup, I notice all the people who are just starting this transplant journey. The ones who look so frightened, the ones who look so frail and feel so sick. I just want to give them all hugs. You recognize them right away – bald heads, masks on, a blank stare, toting around their large bags of medications and needed supplies. Just trying to get through it. Their caregiver by their side. Trying like hell to get to THEIR milestones. Larry and I look at each other and think, that was us in 2012. And look at us now. So blessed. Wrote this on New Year’s, just posting it now. As the year 2013 is coming to a close, I have been reflecting on what an incredible year it has been. I stopped making New Years resolutions a while ago, because I really never kept the ones I made, and somehow the importance of doing that seems so trivial now. I can completely understand wanting to start the new year with sort of a clean slate, and to hopefully have a more productive, full, enriching, happy year ahead. As for me, I look at 2014 the same way I did last year when 2013 was just around the corner — a most amazing gift. It has now been 605 days – 20 months- since my bone marrow transplant. If you think it is quirky to count each day and keep track of them, all bone marrow transplant survivors and their medical teams do exactly that. So we have those numbers constantly in our heads, keeping track of each new milestone. This year (2013) has been the best year I have had for a long time. I’m still recovering, but I am definitely as close to feeling 100 percent as I can be. My energy level is high and it feels so good to be busy and do the things that I love. This year has been a true blessing. Without getting too melodramatic about it, when I spent two months in Hopkins in isolation, I had a lot of time to think. When anyone comes face to face with a catastrophic medical illness, the reality of the situation kicks you in the gut pretty fast. When I was not in my drug-induced and chemo-induced red haze, I put a lot of images in my brain to get through it. I prayed every day, of course, but I did other things as well. I took trips, I painted pictures, I had imaginary conversations, I listened to music, I played a movie loop of my life so far — you get the idea. This was done laying flat on my back hooked up to the largest IV pole I had ever seen. I use the term “red haze” because strangely, when I closed my eyes (and my eyes were closed a lot) it appeared so red. Was it all the brand new marrow trying to take up residence in my body? I don’t know. I only experienced that for about three months. During this time I also made up my mind to revel in each and every day that comes my way. It’s amazing how much in this world is clutter that depletes our bodies and souls of much-needed love, energy, and appreciation of life. The 24-hour news cycle that constantly bombards us with “important” happenings every day, and then relentlessly replays those happenings until we beg for relief. And all the nastiness that erupts from so many venues about almost everything is so disheartening. I have come to believe that of course there are very important issues in this world that need to be discussed and resolved, but those issues will eventually resolve themselves if good and loving people take the lead. And if those nasty, screaming people would just get out of the way. The crazy things you think of when you are so vulnerable after being told the diagnosis. My doctor was and is amazing. Here is a man who has the reputation of being one of the best, if not THE best, oncologist/hematologist/scientist in the world when it comes to rare blood diseases at Hopkins. As I listened to him and watched him, I was impressed. He had compassion and very kind eyes with a lot of laugh lines, so I knew he must smile a lot. And he is a hugger. Larry and I have received numerous hugs from him. When he looked me straight in the eye and said, “we WILL get you through this”, I completely believed him and trusted him. And I never once thought about what his opinion was of The Affordable Care Act, gun control, immigration reform, what his religion was or if he even had a religion, what political party he liked, etc. All the hot button issues of our world faded away. All the clutter disappeared. It was just me and Larry and Kellie in that room preparing for battle, alongside my doctor and his arsenal of weapons. The biggest weapon of all was always the prayers from so many people, but the doctor’s expertise and tools at his disposal were very much needed also. I don’t sweat the small stuff or the big stuff anymore. I feel very much at peace. My family would say that I still get “hyper” about some things, but that is just my personality. I am truly peaceful. I am in contact with two other women, both BMT survivors, pretty regularly. One just passed the two year mark and the other passed the three year mark. It’s good to be on this journey with others who have come before you. They have given me so much support and good information. I am trying in some small way to “pass it forward” to help other people in any way that I can. Amazingly, opportunities have arisen this past year to do just that. People have contacted me about their own challenges with BMT or challenges their loved ones are facing after being diagnosed with leukemia. So, no New Years resolutions for me. Just reflections on the wonderful life I have, my loving family and extended family, all my friends in art class and elsewhere, and what I would like to experience in 2014. Take a look around. The smallest thing may inspire you. God is truly great. It’s been a while since I updated this blog, and for anyone who occasionally checks, I’m doing very well. It’s hard to believe that it’s been sixteen months since the bone marrow transplant. A lot of water under the bridge, but still paddling the boat upstream. My last checkup was on August 1, 2013, and everything is progressing pretty smoothly. All the labs look very good. The blood counts are almost perfect. The red cells are finally coming up into the normal level, so the constant fatigue and perpetual state of anemia seems to be abating. This problem had a lot to do with still being on the antibiotic Dapsone for many, many months. It suppresses red blood cells. I didn’t know this until recently, when I finally researched the drug myself. I have constantly worried and fretted about the low red cells for a year, but all the medical people kept me in the dark about the side effects of this drug, telling me not to worry, and that this low red cell count could possibly be my “new normal”. All the post-transplant drugs are very necessary for sure for a period of time, but they all do have serious side effects. I purposely didn’t want to know any of these side effects while I was recovering or I probably would have refused to take any of these medications. By the way, I HATE the term “new normal” and will kindly ask anyone who uses it to please stop. Somehow this term has found its way into the way medical professionals relate to patients’ concerns. It seems to be a way to blow off patients concerns and questions, and sometimes it feels demeaning. Maybe it’s just me. I’ll get off my soap box now. At my last checkup, I was told I could discontinue the last two medications I was taking: Dapsone (antibacterial) and Valcyclovir (to keep the shingles virus at bay). The doctor didn’t know it at the time, but I had already discontinued the Dapsone on my own as sort of an experiment to see whether this was the cause of the low red cells. And it was. I had also had an ongoing fight with trying to gain weight, feel at all hungry and to taste the food I was eating. I have basically been a little anorexic for months. Literally having to remind myself to eat, because I needed the nutrition. And nothing tasted as it should. Well, it turns out that these last two drugs had everything to do with that problem also. After being free of those drugs for a month now, my food battle is over. Hooray! I feel hungry, I eat and enjoy it, and I can taste food correctly again. No one can completely understand unless this has happened to them. It was absolute torture for many months. People would joke that they wish they had my problem, that is, that they wouldn’t feel hungry so they could lose weight. But I wouldn’t wish that on my worst enemy. It was very depressing, not to be able to enjoy myself with others at a restaurant or a party or whatever. Sometimes even looking at certain foods made me nauseous. Our whole culture revolves around getting together, having fun, talking and enjoying food. I am now free of all medications for the first time in two years. I still have a cabinet full of “just in case” medications for anything that may arise. Creams, ointments, eye drops, Prednisone, mouth rinses, etc. Anyone who has been through a transplant knows that there is a never-ending tug of war between GVHD and a period of calm. My GVHD seems to involve mostly my skin with occasional breakouts of what looks like acne on my face. And periods of intense itching other places, but no breakouts. I did get tear duct plugs in my eyes a few weeks ago, and that has helped tremendously with the dry eyes. My dry mouth has all but disappeared. I think that was a result of those last two medications also. I pray that this is all that will come my way. My hair has completely come back — no bald spots — but it is thinner and very fine. Not my normal hair at all. And of course it is gray. I expected the gray color, but not the completely different texture and thinness. I would like to stop wearing wigs, but I need to consult with my hairdresser to figure out what to do about it. I have an appointment next week, so we’ll see. I have heard from some people it can take a couple of years for hair to come in “normal” again. Whatever normal is these days. This is another milestone for me. My last trip to the hairdresser was in April of 2012, for a shorter haircut, because I knew I would be bald soon after. I feel physically very well these days. I have attended two semesters of art classes so far this year, and in a couple of weeks I will start the Fall semester. I jump in my car and go shopping or to a restaurant or to a movie now, without thinking too much about anything. There was a time when just driving to a nearby store would fill me with nervousness — I’m not sure why. I’m naturally a worry wart, but leaving the cocoon of constant monitoring and care by the hospital and medical personnel, and basically being let loose to fend for myself was scary to me. I might have been more vigilant about germs and other things than some people, bordering on being paranoid for a while, but it was the way I had to deal with the world so I could get through it. I finally had the last booster shots for childhood immunizations at my last checkup. I’ll get a flu shot soon, and I guess more immunizations will come next year. Just mentioning “next year” fills me with wonder. I have been truly blessed in my recovery as it is progressing. The physical part is pretty stable and I am very grateful for that. The nagging thoughts in the back of my brain are still there about relapse, because I still have mixed chimerism. Eighty percent donor, and twenty percent me, give or take five percentage points. My doctor ASSURES me that I shouldn’t worry about it, that people are living full and healthy lives for many years with mixed chimerism. But I’m sure that anyone who has gone through a cancer diagnosis and recovery, no matter what kind of cancer, feels this dread at times. Every ache, pain, hot flash, dizzy spell, rash, bruise —– what is it?? Is it back?? And that brings me to the mental aspect of recovery. And knowing me, I will quiz him about this again at my next visit Sept. 26. Mentally it’s very hard (at least it has been for me) to transition from a constantly monitored patient with a very serious illness and a transplant survivor, to a person who is back living a normal life again. However you define normal. Going through this whole process from spleen removal in 2011, to CMML diagnosis, to chemotherapy for nine months, to bone marrow transplant, to now recovery, is in itself challenging. When I started the transplant process in April 2012, I made up my mind that the only way I could get through it was to focus like a laser beam on almost nothing and no one but myself. It sounds so selfish to me now, because I really was worried about my family and felt so bad for them to see me like that. But I had to dig so very, very deep inside of me with prayer, faith, grit and determination to succeed, that it was necessary (I felt) to block a lot of things out. Other people have their own stories of how they got through it, but that was the way I handled it. And consequently, that has probably made it a little harder for me to now let go of all that intensity and to just chill out and enjoy life again. Getting back in the loop, the swing of things again. It’s hard to explain it to loved ones and other people in general, but I am trying. My goal now is to really work on decompressing. I feel like I have been in a way on another planet for a long time, and returned a few months ago. I have to get the lay of the land again. Life went on without me for a great while, and I’m re-learning how to fit in again. So, as I said in the beginning, I can’t believe it’s been 450 days since transplant. And for everyone out there who is struggling now with going through this process, and your recovery is a series of ups and very bad downs, just keep at it. It’s the hardest thing you have every done. It will take time, but it will get better. Just know that I have been where you are now. All the aches, pains, rashes, diarrhea, G.I. problems, dry mouth, dry eyes, itchy skin, dizzy spells, weakness, insomnia, vomiting, appetite problems, nerve pain, anxiety, depression, the feeling that you could throw something through a window, but you were too weak, and a host of other things — it will for the most part be in your rear view mirror. It’s not all roses, but the thorns are few and far between. I will continue to pray for myself and for everyone out there who is facing this, that all will be well. World class hospital, world class doctors, world class medicines are all important, and I am so grateful that I have access to all of that. But what is really important is a world class attitude from each and every cancer patient that they WILL prevail and become survivors who help others on this same path along the way. So many of those survivors have certainly helped me. No one knows for certain about anything in life except for this — THE INCREDIBLE HUMAN SPIRIT. I’ll update again after my next checkup at the end of September. Take care of yourselves. I haven’t driven to Johns Hopkins once this summer! Mom has, but just for her one year post-transplant checkup, which told us she is doing really great. It’s been a while since I’ve updated, and that’s really a good thing. wasn’t even out of the hospital yet and feeling physically pretty bad. good and keep the saliva flowing. I think I have become an addict. All and all, life is GOOD. days. I feel sorry for little babies who get all those shots at once. there are more shots than ever before. into the patients’ rooms, we marveled at how far I have come. blood will have to be thrown away and not given to anyone else. tame it, but to no avail. I expected the gray hair, but not THIS. I’ve always said that this whole process has been difficult physically. It’s been a while since I updated, so here goes. The past three months have been the best months for me since the transplant. Can you believe it has been ten months?? I have felt very physically well and much stronger. There still have been some challenges, but all in all life is very good. The most challenging thing has been the severe dry mouth symptoms and tasting food. Some foods taste exactly as they should, some taste weird, and some have no taste at all to me. The doctor says this will all get better over time, how much time, we don’t know. I have started my studio art classes again twice a week, and I feel so blessed that I can do it. In December I wondered if I should even sign up. It was so wonderful to see all my art buddies again, they have been so supportive through all of this. I have even completed my first oil painting, a very small one, but I completed it. I can’t wait to complete more. I only go to Hopkins once a month now for blood tests, so today was that day. And what a day it was! Remember a few months ago when I said that I was a chimera, meaning Kellie’s bone marrow had not taken over mine 100 percent? And the doctor said I may always have that split bone marrow? At the time it was 70 percent Kellie and 30 percent me. I was disappointed, but was resigned to the fact that this was how it was going to be from now on. Well —– I had another test done for chimerism last month and I got the results today. All my blood counts look great, and the best news of all is that my bone marrow is now 100 percent donor. Somehow in the past few weeks Kellie’s marrow has finally taken over. What wonderful news for us. Our prayers have been truly answered regarding this. I felt like I had won the lottery. What a blessing. I got a copy of the test results and it said “no evidence of patient DNA”. his DNA???? I also now have her blood type, O Positive – and no longer my own which was A Positive. It kind of hurts my head to think about this stuff sometimes. only taking two pills a day now, an antibiotic and an antiviral. I’ll be on them for probably another year. A lot less than the 40 pills a day I was taking last summer. Anyway, Spring is really coming soon. Buds are on the trees and my tulips are coming up. Another beautiful season. I feel so grateful to everyone for all the prayers. You have all given me and my family so much support, and it has given me the strength to get through all this. Thank you. This time last year I was trying to prepare physically and mentally to go into the hospital. I marvel at how far I’ve come, but the journey continues. One day at a time, one step at a time, one hour at a time, taking nothing for granted, and enjoying every single day. Slowly but surely getting back onto the dance floor of life.